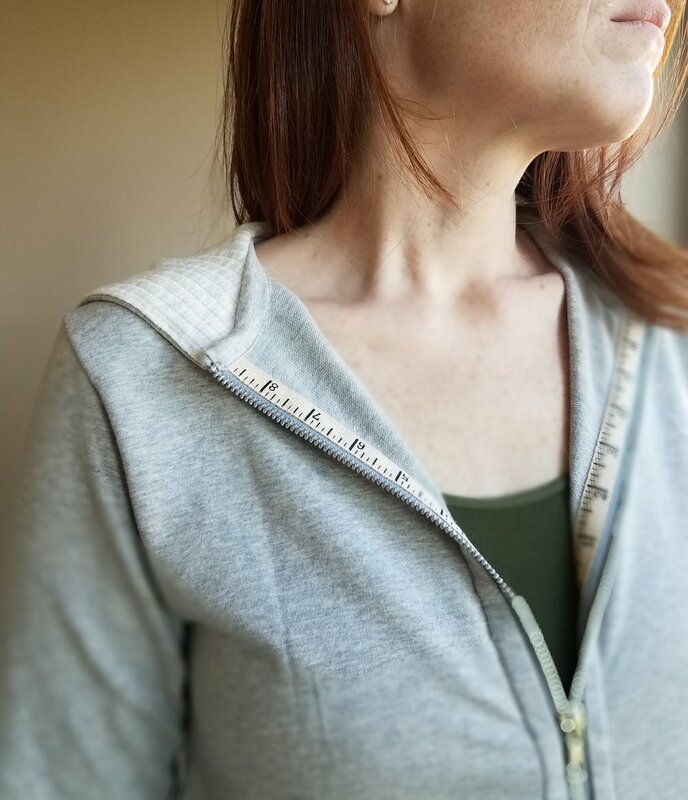 Anyhoozle, I sewed another view of the Halifax hoodie pattern last night (finally). I previously played with view E because I love the diagonal side seams. 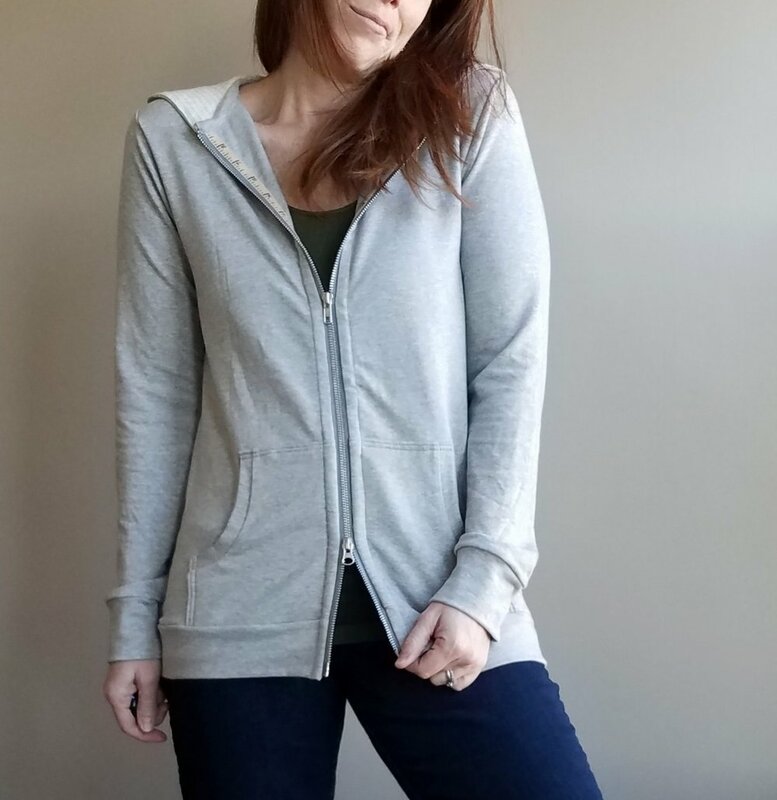 I used some luscious modal French terry from La Finch fabrics, one of the fabrics chosen for February's #letssewthistogether. Now, I know it's March, but February is short and I had a bit of a sickness come over me in February. I was bitten by the No Fear New Jeans bug that spread rapidly after being introduced by Closet Case. I'm digressing as per usual. Back to my new favorite Halifax! I lined the hood and the pockets with a light weight white sweater-y rib. This made the pockets a bit bulky where the zipper is attached, but I'm still very happy with the overall outcome. I would love to get some personalized twill tape to use for future makes. Wanna recommend a vendor (from etsy, for example)? And I love how it fits! 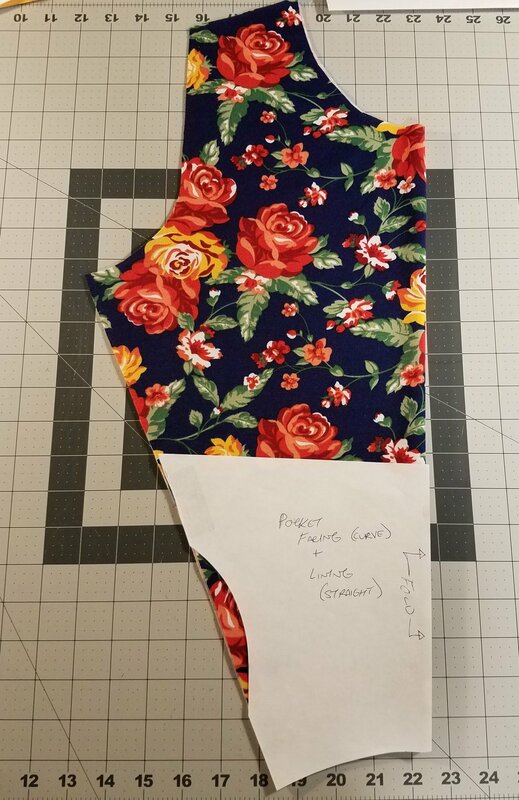 I cut a straight size small after sewing several in size medium and finding them pretty over-sized. 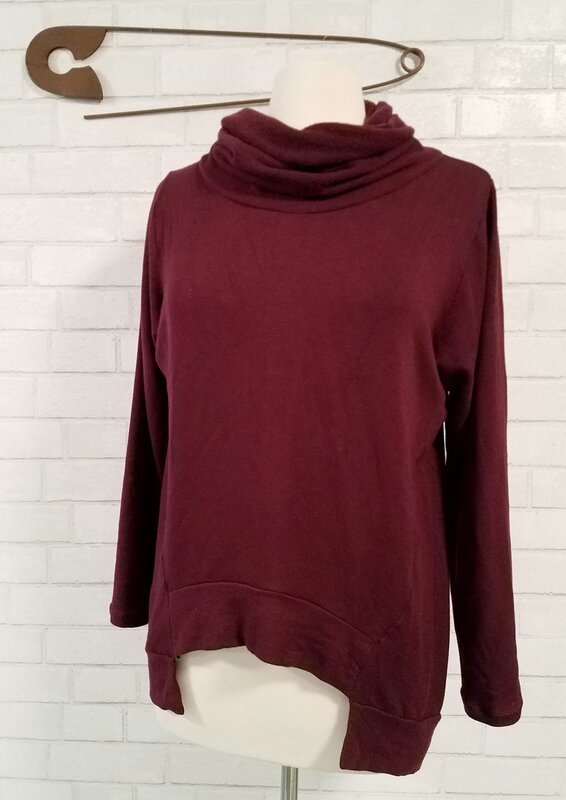 (Body measurements- bust 36", hips 40".) I also find that the shoulders are a tad wide for me on Hey June patterns, so I shave 1/2" off the armscye. I used a two-way jacket zip, because I think they're fun and they add a little bit more bling. I think the only other little tweak I'd do for my next one is to make the bottom band one continuous piece instead of having seams at the side seams. And I do plan to make another one immediately. I've got some brushed poly with extra lycra that's very similar in fiber content to a rtw hoodie I received for Christmas.